Watch for our Wheel of Fortune! 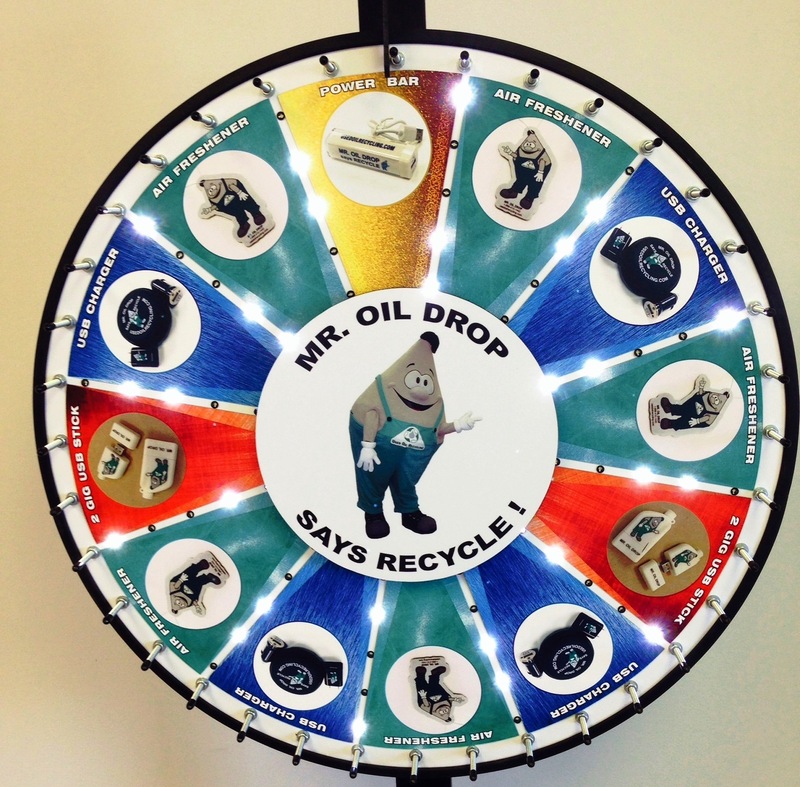 Ambassador Program - MARRC will be sending Ambassadors to various events and tradeshows around the Province to promote used oil recycling awareness. Watch for Mr. & Mrs. Oil Drop in upcoming parades as well!